Welcome to To Do Tuesday June 20! 4. House Projects: painting house, building shed, re-seeding grass, laying gravel base for deck, and re-graveling the driveway. Harley started her summer job last week, Reagan was busy with dress rehearsal week for Seven Brides for Seven Brothers, and Terrance was busy all week at work, as well. Todd and I had a pretty quiet week, and I was able to get quite a bit of stuff done. I have been working really hard to get to a point where I am able to participate in sewing blog tours, and it has finally happened. ALL. AT. ONCE. Murphy’s Law, right? At any rate, I am going to take the house projects off my list because they’re going to get done regardless, and they’re really not what this list is about to me. This blog tour is really exciting because Leyla Jeyne is releasing an entire collection of summer patterns – women’s and girls! I am only making one item from the collection, but I am excited to see everyone’s creations! 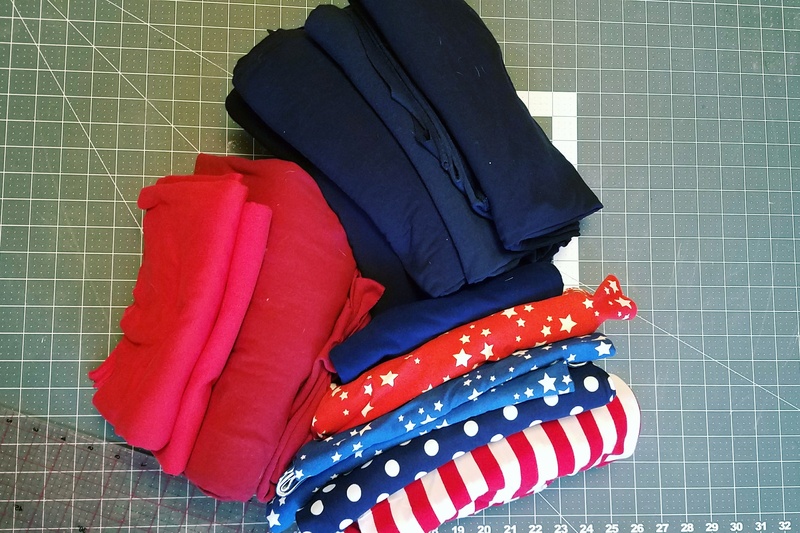 Fabric and patterns are selected, and I have started tracing the patterns to cut and sew! This tour is exciting because I get to make myself a “fancy” dress. I am not a dress person at all, but after making my dress for Harley’s graduation, I’m beginning to wonder if it isn’t because my RTW dresses haven’t fit correctly. Todd and I NEVER go anywhere that requires much more than nice jeans and a dress shirt, and I am thrilled because we are going to a wine-pairing dinner event that will require us to dress nice. Our dinner is right before this blog tour, and the timing couldn’t be more perfect! 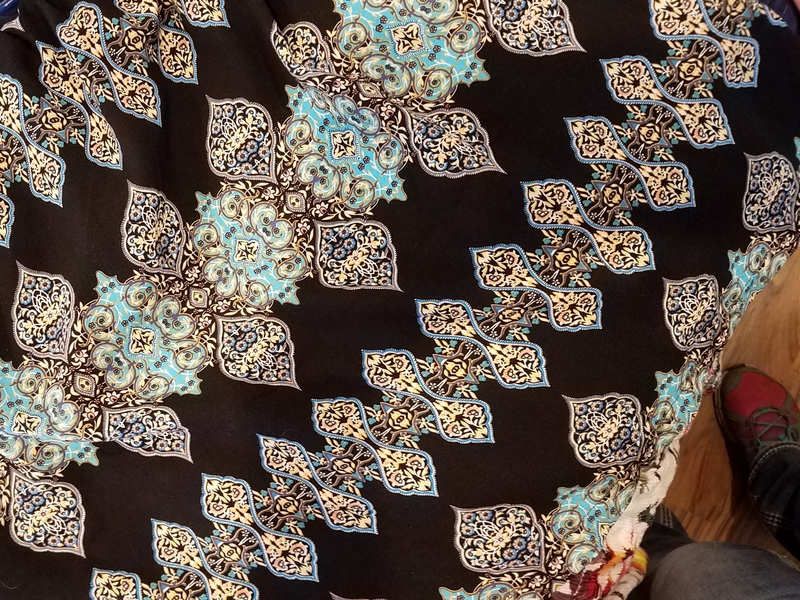 I am making another Patterns for Pirates Timeless Tunic, and I am using this gorgeous Rayon Challis. I have the fabric set aside, and I know what I am making for this tour. I will get started on it as soon as I finish the Sew Americana Tour items. Emma has chosen the fabric she wants me to use, and I will get these cut out and sewn some time this week (crossing my fingers). I love that rayon challis print! I can not wait to see what you make with that. I’m excited to watch your sew along progress!! Awe, thank you! I can’t wait to get it sewn up!